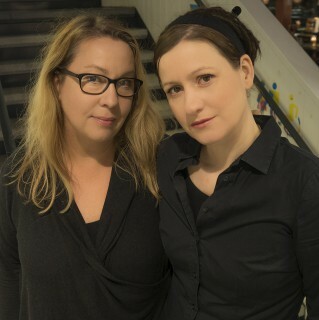 Anna Gavanas and Anna Öström have been established figures, as both DJs and club arrangers, on the Stockholm scene since the 1990s, and together ran the network Sister Sthlm from 2003-2009. Now they’ve used their wealth of knowledge about Stockholm DJ culture to put together their new book, DJ – Liv, a vastly impressive dive into the history of DJing and club life in Stockholm, and we decided it was time to meet them and discuss it. So what gave you the idea to put this book together? And what kind of research did you do and what kind of sources did you draw on when writing and accumulating information? 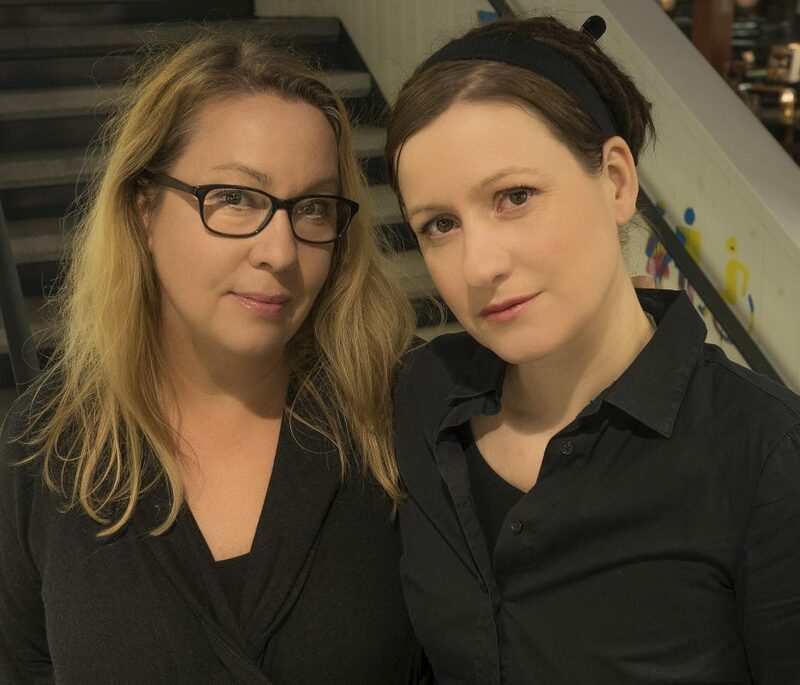 The idea came up in February 2014 when we were interviewed by the journalist Linnea Carlén for an article in Popmani. A few weeks earlier there had been a call in Aftonbladet by 157 Swedish female musicians encouraging people to not forget them when writing about music history. When we talked about this call with Carlén we speculated in the interview that perhaps we should write the DJ-history and include women. A few weeks later everyone read in Popmani that we were about to write a book about DJ-history…. So we just had to do it. Since we have been part of the DJ-scene since the 1990s we have quite a lot of contacts. In writing the book, we’ve engaged with several hundred people; DJs, dancers, club promoters, record label owners and record shop owners. We’ve researched Swedish and international books on DJ and club culture, newspaper articles and print outs from discussion forums dedicated to dance music, clubbing and dj-ing. In addition to the information we received through people and research, we’ve been able to draw extensively on our own experience. DJing, clubbing and club nights have always had a huge cultural impact, but tend to be under-documented compared to other cultural activities. Was it therefore a major goal to hear and document the stories of clubs, what they meant to people and the people who made them happen? Absolutely! There is so much to say about how the club scene has developed since the end of the 1960s. We have been able to capture only a part of history, but at the same time, it’s impossible to give the full picture over four decades in only one book – each decade really deserves its own book. Although, having said that, one of the key benefits of writing a book covering four decades is that it allows you to identify patterns, connections and links through history. Many DJs have been a major force when it comes to organise club nights, either as promoters themselves, or part of a bigger group. They have made sure they have somewhere to play their music and also that people have had somewhere to dance. Also, for us it has been very important to talk with people that were on the dancefloors in the 70s, 80s and 90s, as they can relate to the scene from another point of view (than from the DJ-booth or from having promotor experience). That´s one of the reasons we were keen on not just talking to DJs when writing this book. Another major focus for us was to include voices that haven’t been heard in media before. Our main point was never to repeat what has already been said or restating stories that had already been told. Of course there are parts of the book that have already been documented by journalists and other authors, but many of the voices in the book are previously unheard. Clubbing and dance are a pretty established part of the cultural scene now, but in early days in Sweden it was both frowned upon by certain musicians who saw it as ‘not proper music’ and sectors of society that saw it as morally suspicious. How was it to hear stories of those involved in the scene back then, who had to push for what they loved with few resources and in the face of this disapproval? It’s been very interesting. In the 70s disco music was seen as problematic by media, authorities and large parts of the population, and in the 90s the same thing happened to the rave scene. In the book we describe the widespread disapproval of both musical genres. Disco was seen as too commercial; DJs and disco became a representation of capitalist superficiality and corrupt disingenuous machine music which was seen as a threat against ‘real’ musicians in the 70s, whilst rave in the 90s was primarily associated with drugs. But these kinds of reactions are nothing new – the same thing happened with other music genres like jazz, rock and punk. One moralistic motivation was in both these examples to protect the youth from depravation. In the book we describe how Sydney Onayemi, for example, struggled in the 70s to maintain his disco clubs and from the 90s how Danijel Alpha and Abi Bah created rave parties when house and techno music came to Stockholm. Another important focal point for us was to include how the gay, lesbian and queer-scene has made an impact on the club culture. It was primarily amongst marginalised groups that the club scene started. Club scenes can be seen as temporary free zones from oppression, platforms for activism or a release from daily struggles. You mention that DJ culture has been nurtured by youth centres, events in the suburbs and record stores. Do you think that these networks that have provided support to DJs over the years are something a lot of people weren’t aware of, and were they something you therefore wanted to draw attention to? Yes, these platforms have been very important for the development of the DJ and club scene. For example, many DJs in the book mention how they came in contact with their first pair of turntables through the youth centres in the suburbs and that is was there they played records for an audience for the first time. – “Sweden was incredibly quick to explore new music in the 70s, mainly due to the non-restrictive import regulations. The rest of the Nordic countries, and 70 percent of Europe, was way behind. In Sweden we could get the new Rolling Stones records months before they were released by their record labels. I would say those who imported new music, including myself, provided a foundation for a lot of Swedish musical talent and the way Swedish musicians are so skilled in copying and relating to new music. People were travelling from the other Nordic countries to buy the latest records and visit a club in the evening. A very important period”. Record stores have always been a key meeting place for DJs and promoters and the place where you find the most interesting music for the dance floor. 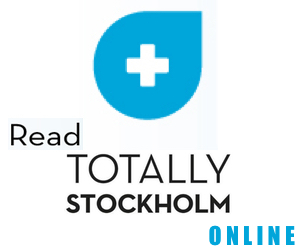 A lot of the reviews have heavily praised the book’s account of the role of women in Stockholm’s DJ history. As women deeply involved in the scene as both DJs and club organisers, was this something you particularly wanted to explore in depth when you set out to write the book? Yes, because they have always tended to be exotic exceptions. Women can get quite a lot of attention in the short run, but the ‘club memory’ is relatively short so at the same time, women tend to be forgotten in history. Women have been part of this culture as long as it has existed but those who are remembered are mostly men. In order to give a more accurate account of actors who shaped DJ-culture it has been very important for us to include female DJs and dancers in our book. Not least to give active female DJs of today an insight into history of their predecessors. Finally, could you each pick a particular individual story that you came across that struck you as especially extraordinary or interesting? There are so many interesting stories, but if we have to choose one it must be DJ Gena. She was one of the techno and rave pioneers in the 90s and in the early 00s she was one of the DJs that introduced dubstep to Stockholm. Together with some friends she started the club collective All Out Dubstep that was a huge success for many years. Today she is playing UK garage and other heavy bass influenced styles. As a DJ she has been, and still is, one of the most interesting DJs we have in Stockholm – always playing things before everyone else and always with her heart in the underground.